An effect that transitions your footage and text by creating the look of compressed, glitched video, corrupt data streams, and low-bandwidth broadcasts. Preset: Choose between 29 different transition presets. Presets that start with the word "Text" are designed specifically for use with text or logos with transparency, and may give best results for those items. Transition Style: This controls the look of the chunks that break up the footage. There are 14 different styles to choose from. Compression Max: Compression creates the look of internet video compression. Higher values remove more detail and color and make the image look more compressed. The higher you set this control, the stronger the compression will be during the transition. Compression increases from 0 to your maximum value between 0%-50% , and then decreases again between 50% and 100%, returning to no compression at the end of the transition. Compression Last: By default, compression is applied to the image first. After that, glitches are applied on top of it. 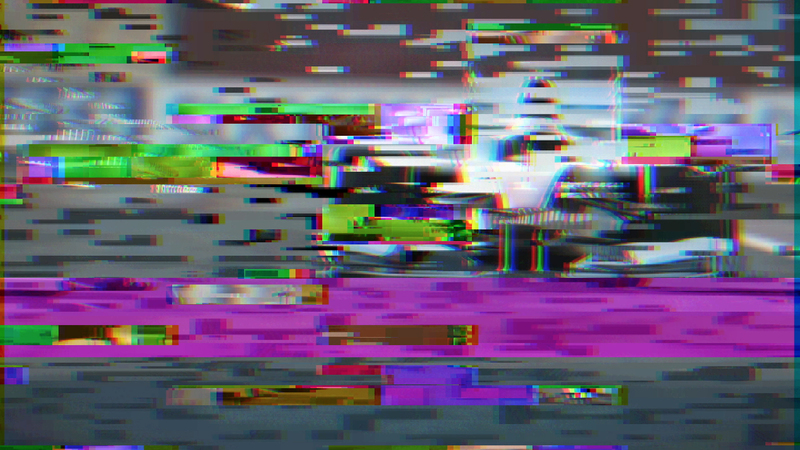 The glitches are sharp, bright and colorful, on top of the messy footage. If you want to compress the glitches so that they look a lot less defined and mix in with the footage, turning this on applies compression at the end of the effects chain, making the overall effect look a lot more compressed. RGB Split Max: This decides how much the red, green, and blue channels will split during the transition. Small Glitches Max: This decides the maximum amount of small glitches that will be seen on your screen. Wide Glitches Max: This decides the maximum amount of wide glitches that will be seen on your screen. Size: Controls the size of all glitches. Higher values yield bigger glitches. Color Mode: Choose a blending mode for the glitches that works best for the footage being used. Color Saturation: Controls how saturated the glitch color is. Lower numbers remove more and more color from the glitch, and depending on your setting, from the footage as well. With some blending modes, you might not see much of a difference after dialing up past 15, but depending on your setting for SG-Blending mode, higher numbers can give you some interesting and unexpected results. Displacement: Controls displacement of the pixels below a glitch. Pixels that are glitched will be moved left, right, up, or down, depending on the preset. Higher numbers means more pixel displacement. Random Seed: This is used to give results with different random values. If you don't like the result of the glitch on a given frame, you can change this value and it will re-calculate any of the random values used to create a glitch, and to randomly recalculate the glitch configuration. This slider is also helpful if you have more than one layer being glitched and you don't want their glitches to look exactly the same. Unmult: Turn on to remove a black background from your footage.